The D-Day 70th Anniversary in Normandy was very interesting and moving. My Dad, Les Richards, didn’t take part in the invasion. He was in the Commandos, in Italy. The soldiers who weren’t there were rudely referred to as The D-Day Dodgers. This wasn’t true at all, of course. A few days before D-Day, my Dad was fighting at Monte Cassino, in Italy. He was also involved in the Yugoslavia Liberation, and spent some time in Albania, helping them. 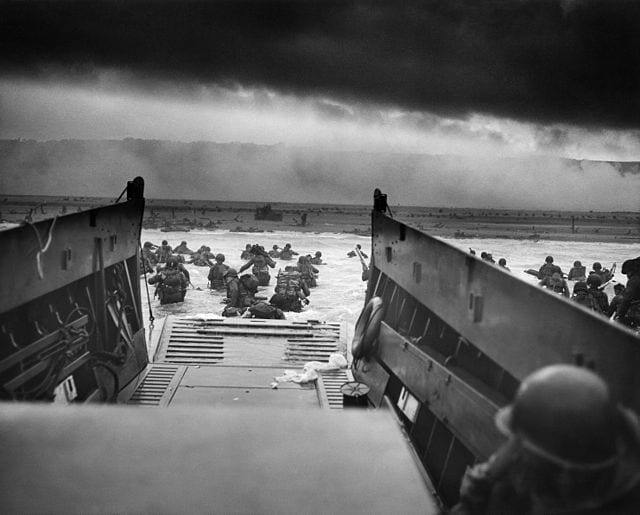 Several years ago, before my Dad died, there was a tune on the radio called The D-Day Dodgers. It was sung to the tune of Lili Marlene. The song was written in November 1944 by Lance-Sergeant Harry Pynn of the Tank Rescue Section, 19 Army Fire Brigade, who was with the 79th Division just south of Bologna, Italy. There were many variations on verses and even the chorus, but the song generally and sarcastically referred to how easy their life in Italy was. Although Hamish Henderson did not write the song, he did collect different versions of it and it is attributed to him in the sleeve notes of the Ian Campbell Folk Group’s “Contemporary Campbells”. Many different variations have been recorded. We are the D-Day Dodgers, over here in Italy. We all sang songs, the beer was free. We didn’t have to fight there. We just went for the ride. Anzio and Sangro were all forlorn. We did not do a thing from dusk to dawn. For we are the D-Day Dodgers, over here in Italy. On to Bologna we did go. Then we went bathing in the Po. Back to dear old Blighty, never more to roam. Then somebody said in France you’ll fight. The windy D-Day Dodgers, out in Sunny Italy. Now Lady Astor, get a load of this. Don’t stand up on a platform and talk a load of piss. We think your mouth’s too bloody wide. We are the D-Day Dodgers, in Sunny Italy. You’ll find the crosses, some which bear no name. They were the D-Day Dodgers, who’ll stay in Italy. Even though we’ve parted, our hearts are close to home. But guess what? My Mum has the original copy, written in Italy in my Dad’s neat handwriting, on Wartime notepaper!